Know Where North Campus Kids Are Queuing Up? Dolma Aunty’s Momo Thela! The next time you’re walking around Kamla Nagar in the afternoon and see campus folks making a beeline for a tiny thela, don’t be confused. 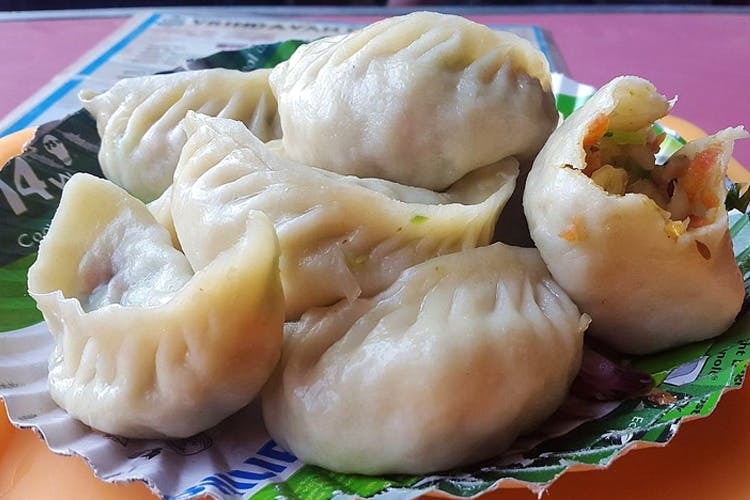 Dolma Aunty Momos of Lajpat Nagar fame has ventured into the lanes of Kamla Nagar to treat PG-food-hating students to the mad world of cheap momos. Variety isn’t Dolma aunty’s strong suit, but the price and the magical, spicy chutney more than make up for it. Chicken momos have a loyal following, thanks to their generous servings and modest prices (INR 60 for eight pieces). We’re obviously standing by our vegetarian brethren with a plate of yummy veg momos that’ll set broke leaf eaters back by INR 50. They set shop at 2pm and wrap up by 9pm (if not earlier) and you can spot them on Bungalow Road outside the Adidas store. Now go, test your might with her spicy chutney and introduce your campus friends to the little joys of life.